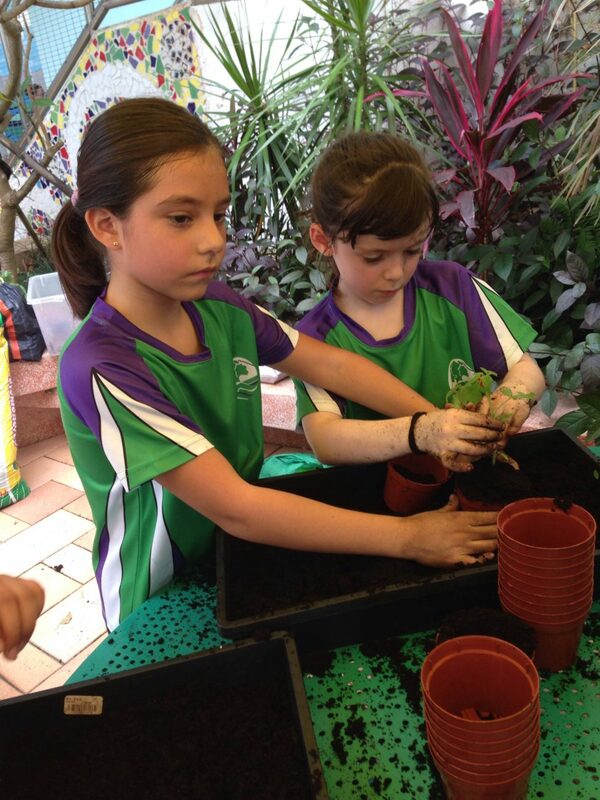 Bradbury School is working towards achieving ‘green flag’ status as an Eco-School. Eco-Schools encourage young people to engage in their environment and students are given the opportunity to actively protect it. 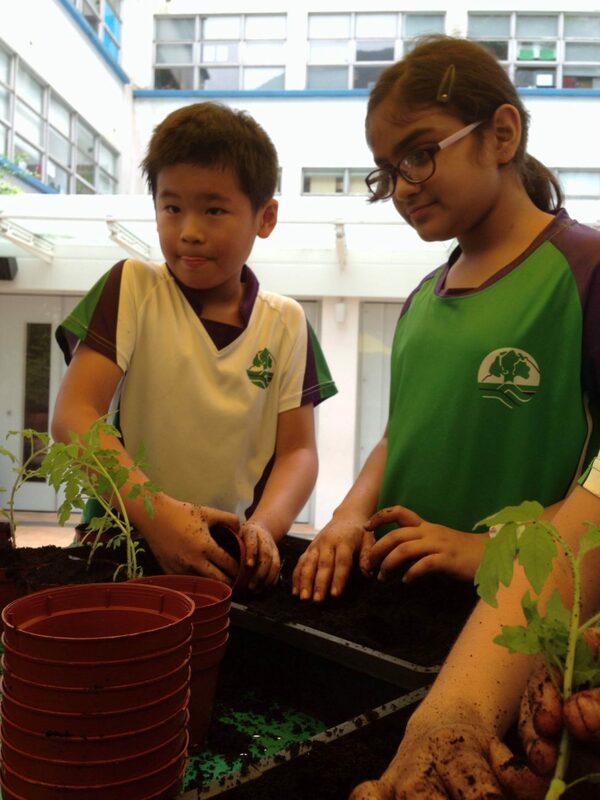 The programme combines learning through hands on experiences which involve the whole community, seeks to improve the environmental footprint of the school, challenges students to take action against environmental issues and cultivates a sustainable mindset. 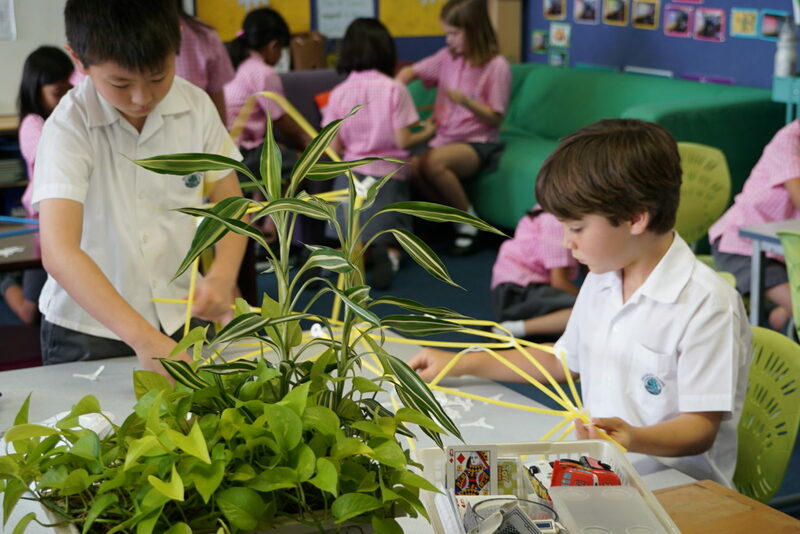 Students are encouraged to connect globally with other Eco-Schools and use the practices learned in their daily lives. Bradbury has a variety of air purification plants in each classroom to help with producing clean oxygen. As buildings become more insulated and efficient, they also make it easier to trap indoor air pollutants. 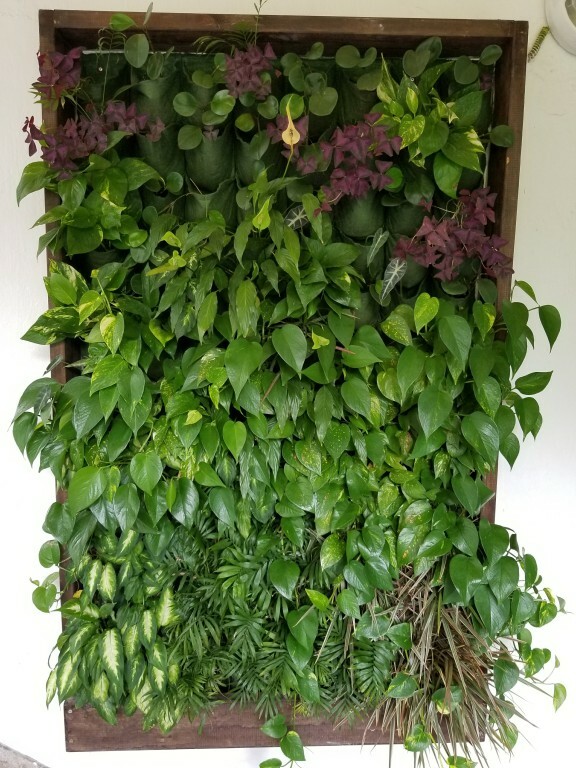 After researching the plants suggested by NASA as the most effective air filters, Bradbury has created planters for each of the classrooms and shared areas containing Dracaenas, Peace Lilies, Snake plants and spider plants.Not only do the plants clean the air they make our classrooms look great. 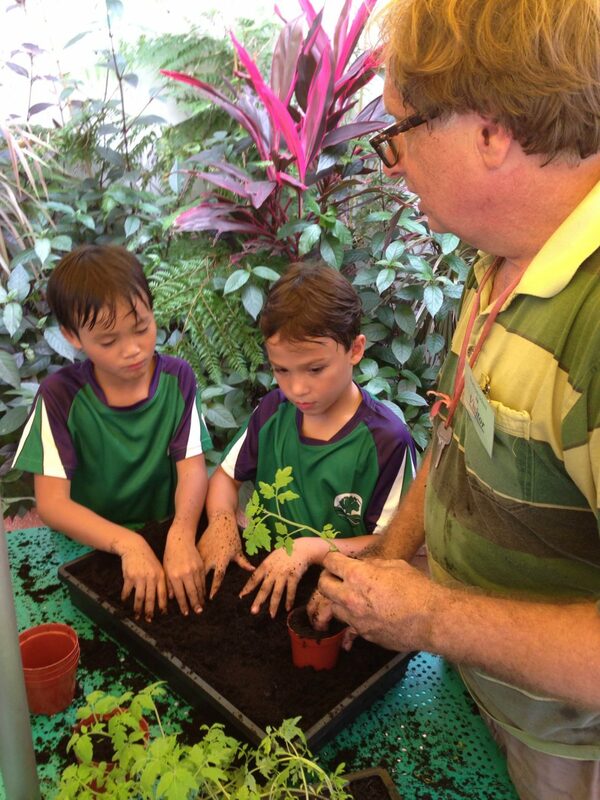 Bradbury holds regular plant sales where Eco Dude student’s sell seedlings and herbs to the members of our community. These plants are grown from seeds and cuttings by the students around our school grounds which helps them to see the importance of nurturing flora and fauna. The money raised by the students then goes back into purchasing plants and seedlings to enhance our school environment. The 2017 conference ‘Take it Outside’ was held at Discovery College in October. 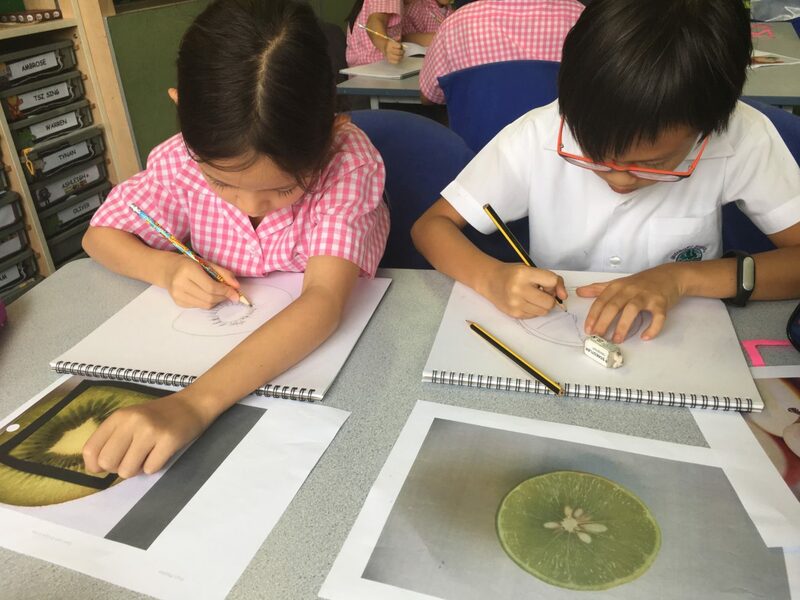 The conference aimed to inspire, empower and physically connects students with the environment and nature that surrounds them here in Hong Kong. Students were creative using their senses, while allowing them to find freedom, fantasy, and privacy in an environmental context. From this day forward, it is hoped students will continue building a better knowledge and awareness of how to tackle key world issues and find sustainable solutions. 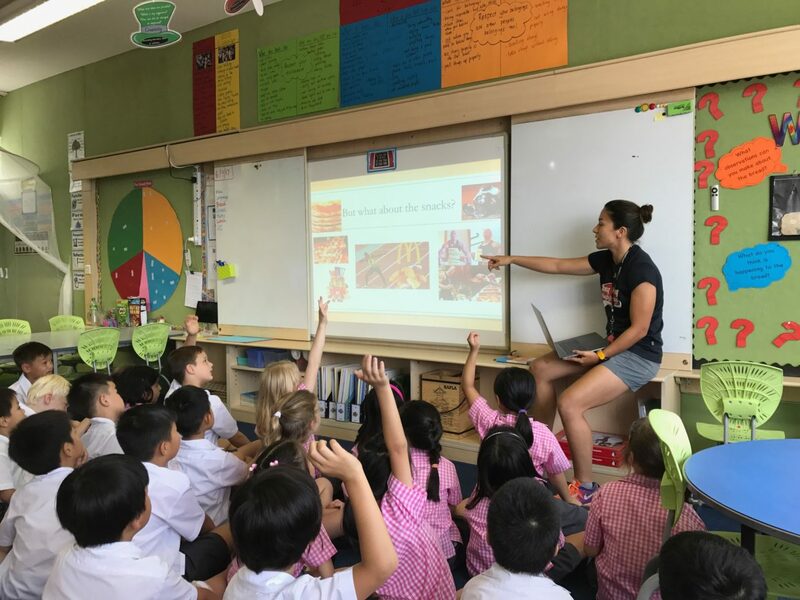 Students worked with international environmental campaigners, along with other local experts, ESF Educators and secondary school students, engaging in a series of practical workshops throughout the day. 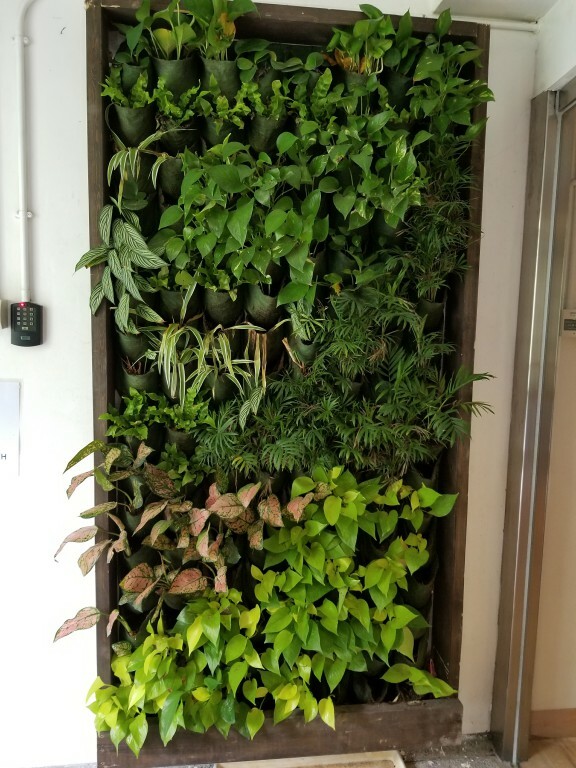 Students are encouraged to take these practical ideas and skills and to connect with our outdoor environment as well as tackling the key challenges of sustainability, and incorporate and implement these back at their respective schools and into their daily lives. 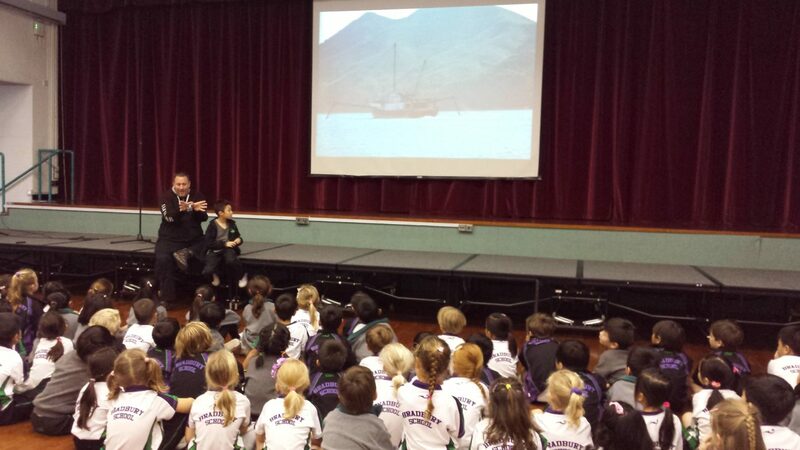 This conference is aimed at Primary School students in Year 4-6 and is an annual ESF event. In year 5, we are energy monitors . 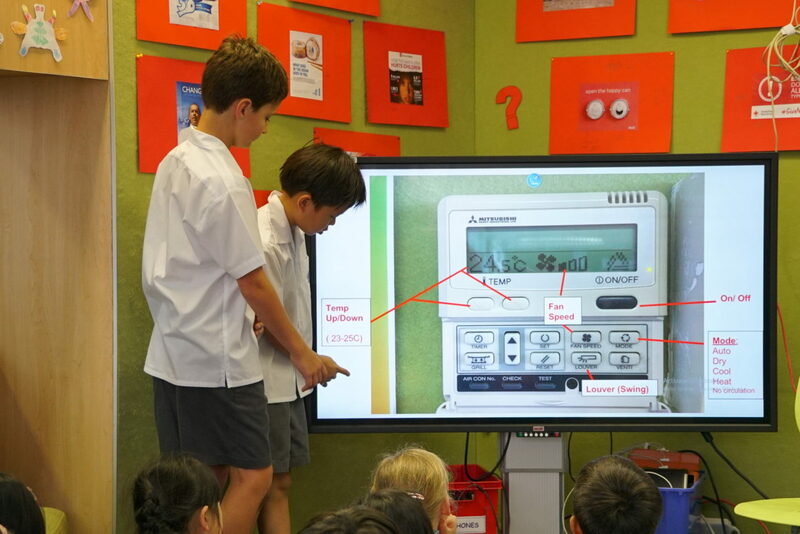 Energy monitors are people who collect data from different classes about how much energy we’re using. If we collect this data we can show the school how much energy we are using and we hope they will stop using that much energy by switching things off. How else can we find out how much Energy Bradbury is using? There is also this website called Entrak that shows how much energy the whole school is using every day and every week. 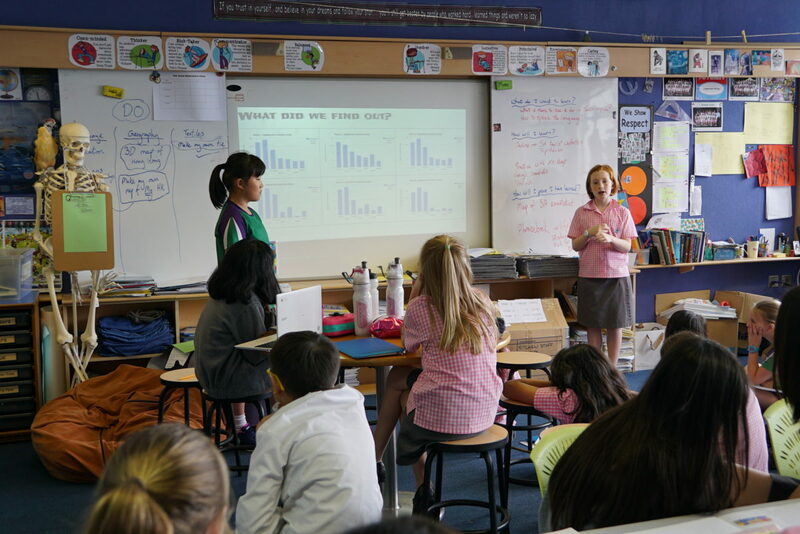 In term 3, Y5 gave presentations to all the year groups in the school about how much energy we are using and we also gave a presentation to the cleaners about how to use the aircons more efficiently. In Year 5 we’re spreading awareness of how much energy we use in the school. 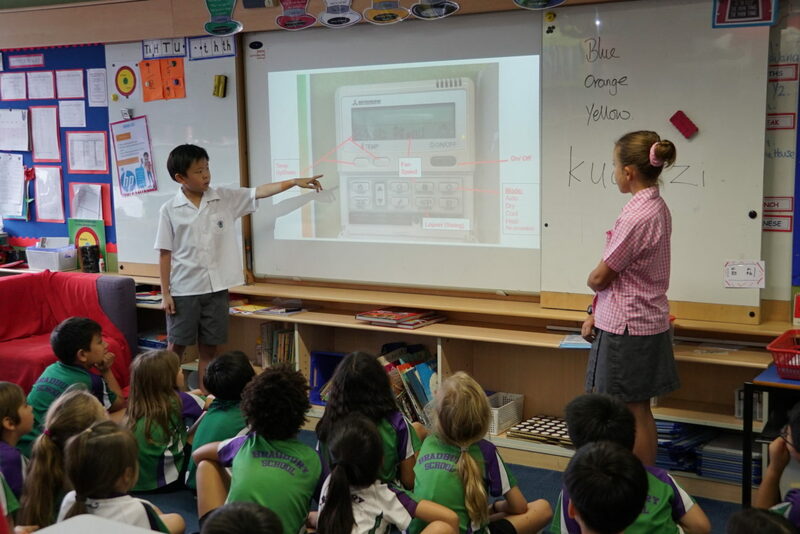 We’ve given presentations to classes about how they can save energy and turn appliances off. 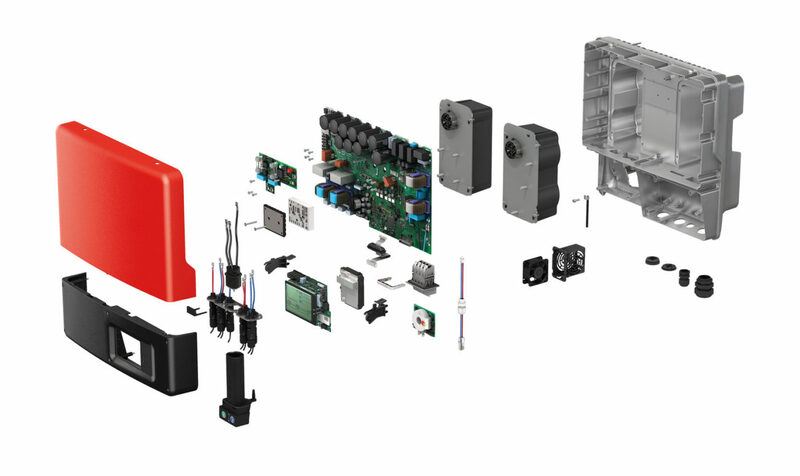 We have also made an air con guide on how to use the remote control better to save energy. 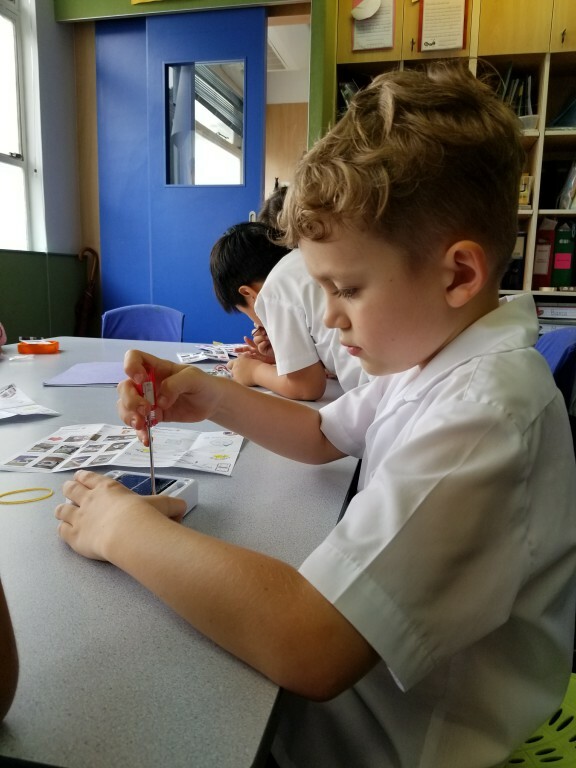 Year 3 students have been learning about energy, renewable and nonrenewable resources and inquiring into sustainability. 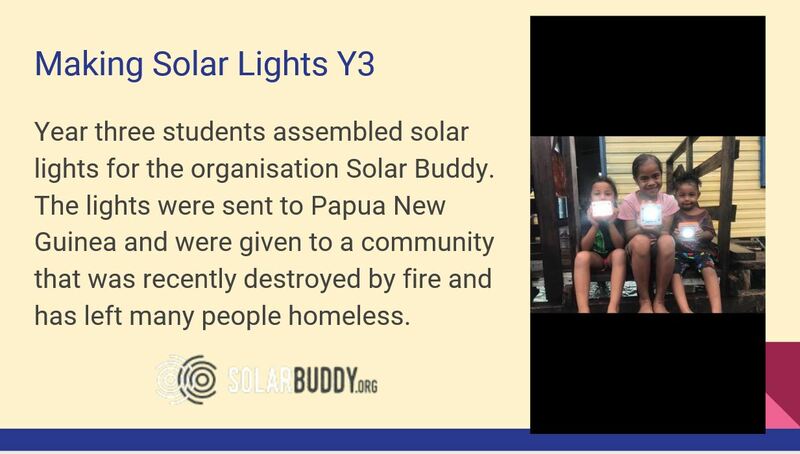 The students connected to an organisation called Solar Buddies who make solar powered lights for poor communities across the world. The students raised money by doing chores to purchase the kits and then in class, built the sustainable lights in pairs. 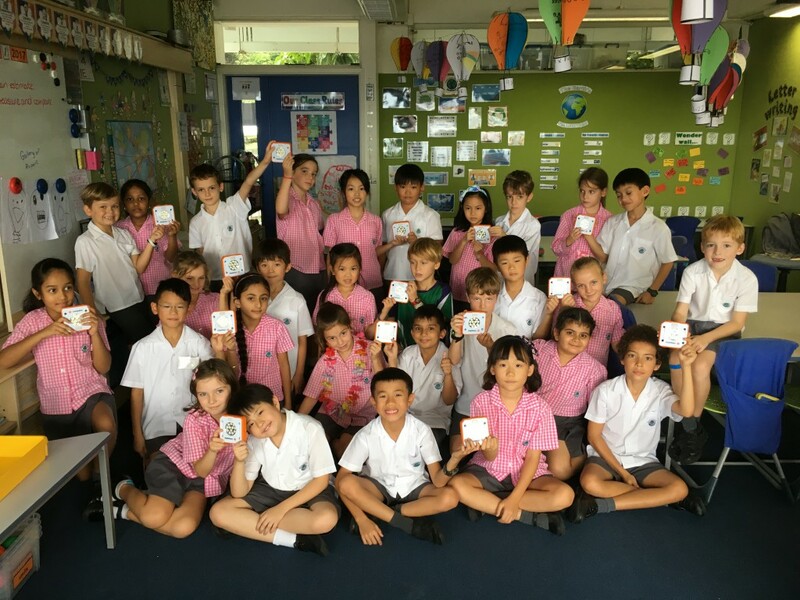 The students also wrote letters and postcards to tell the recipients about themselves and Hong Kong. The solar paneled lights are collected from school and will be delivered to families in need in Myanmar. 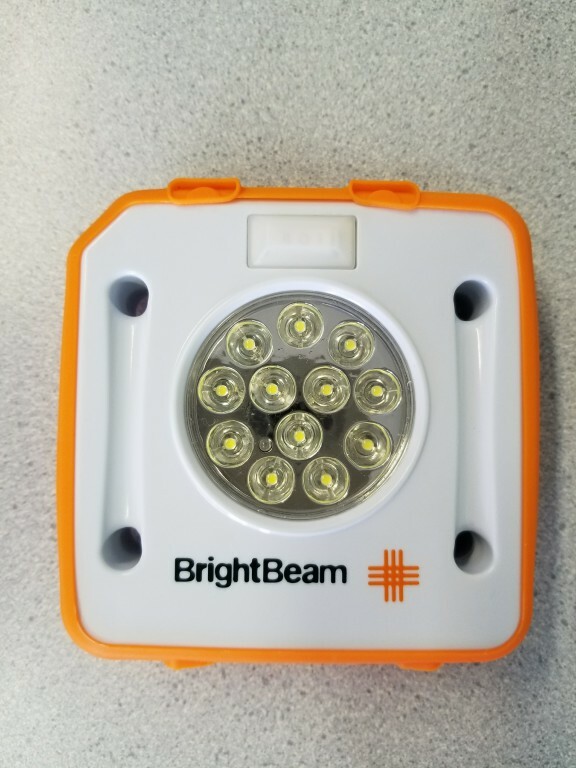 The students will receive pictures of the lights once they are being used so they can see the difference they have made. 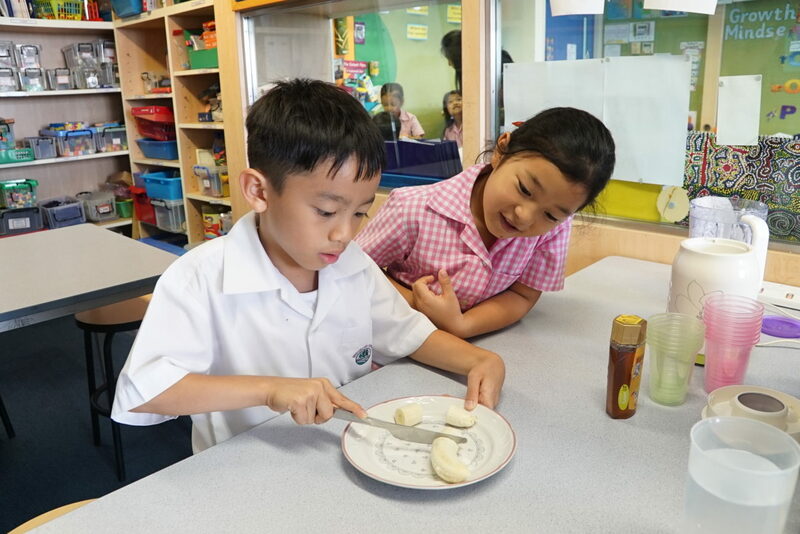 In the Year 3 Unit of Inquiry students learn about the choices they make and how these can affect their health and well being. In this unit, students enquired into mental, physical, social and personal factors that contribute to being healthy. They learned mindfulness techniques, participated in Yoga sessions and nurse Lauren educated them about personal hygiene. They had a visit from nutritionist to talk about eating a balanced diet and in Physical Education (P.E) lessons, the students inquired into differents sports and fitness related activities. 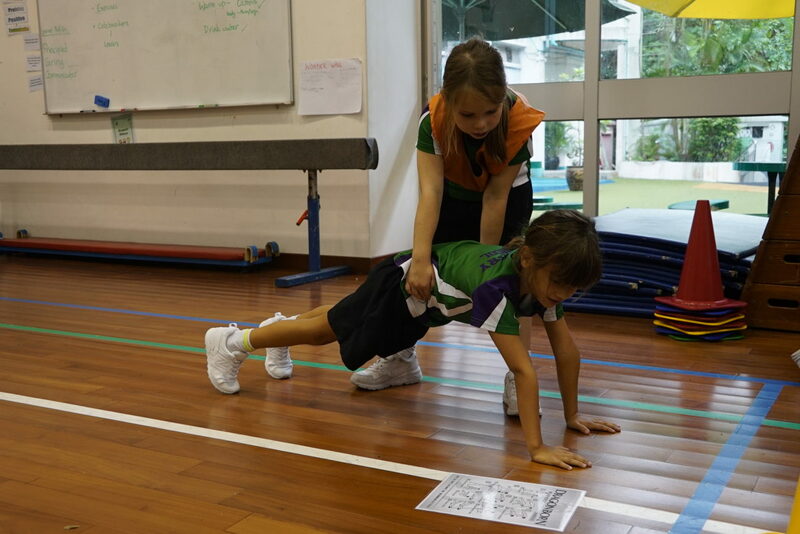 They also learned about the body and how it works when we eat food as well as how moves when we exercise. The students recorded various routines e.g sleep, water intake and exercise over the course of a week. They then graphed their findings and reflected on what aspect of their lifestyle they could improve in. 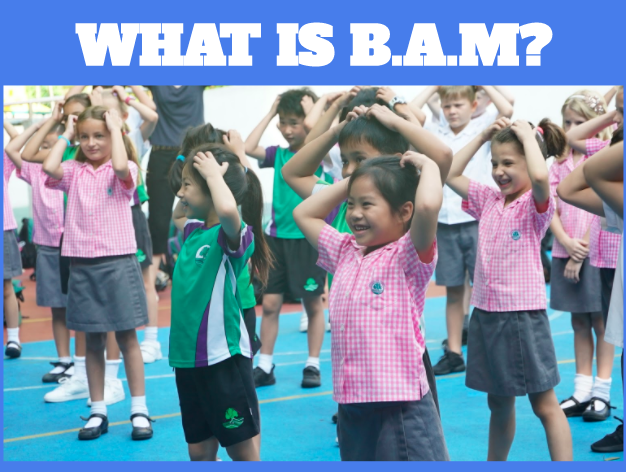 BAM is an activation activity introduced at Bradbury School in 2016 to increase attention and improve healthy habits. 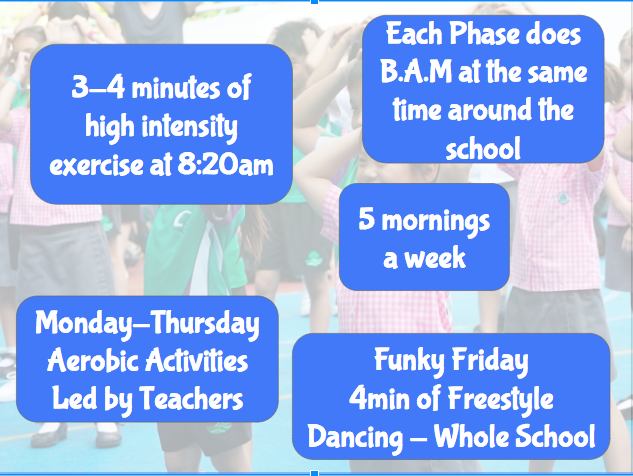 It consists of 4-5minutes of aerobic activity which each phase manages in different areas of the school from 8.20-8.30am. This allows us to have whole school, daily, physical activity. With an increase in sedentary behaviours such as the increased use of electronic devices, reduced size in living spaces, reduced activity areas for children and an increase in use of modern transport, we found our children were in need of some increased physical activity. This small but effective amount of activity builds on and conditions the brain to be ready for the day’s academic endeavours. 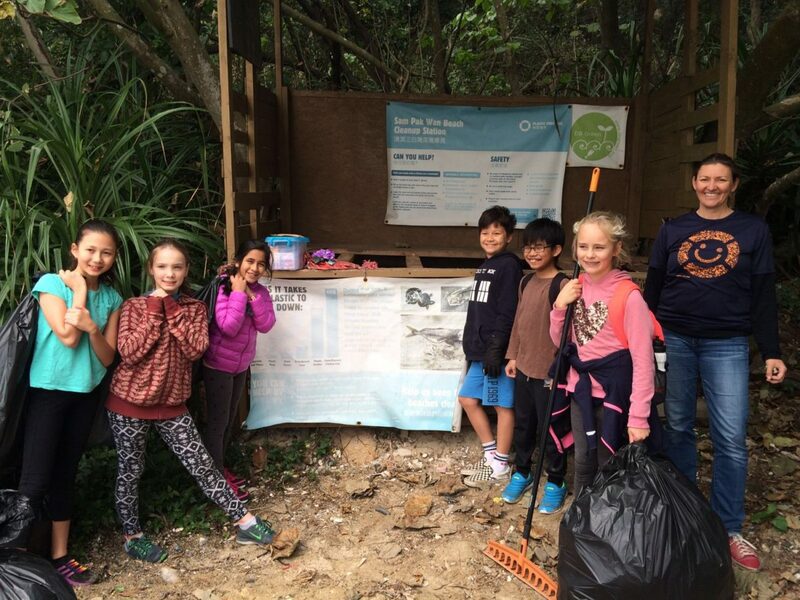 Students participate in local beach clean ups as part of the Year 6 Exhibition. 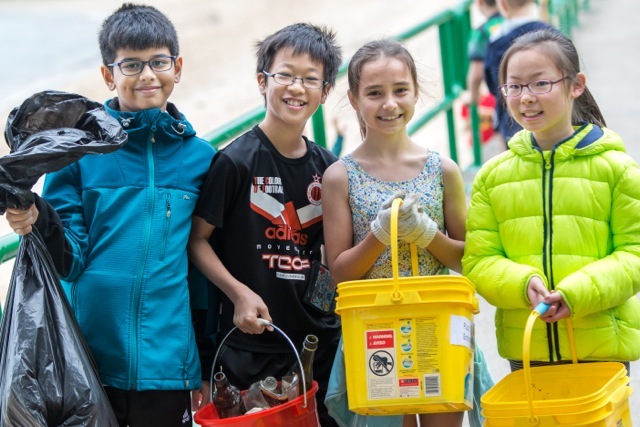 The students link to organisations such as Plastic Free Seas, DB Green and Living lamma who run regular beach cleanups on Hong Kong’s beaches. The students get to see and experience the good things on the beach whilst learning how to protect themselves from the not-so-good things. 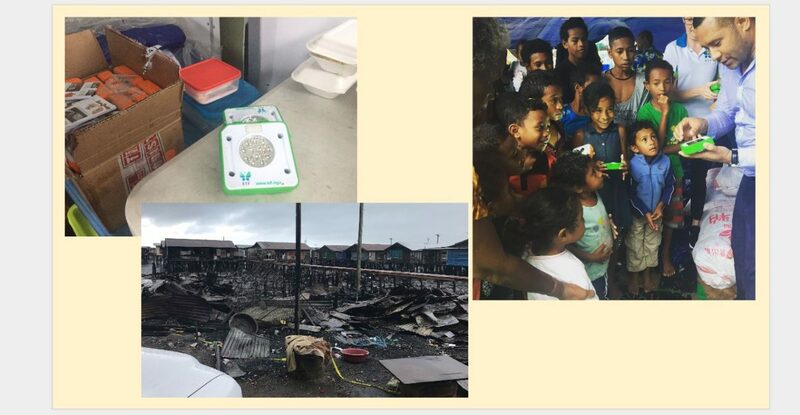 Students learn what to look out for, from natural hazards such as sharp shells, fish bones, slippery rocks, etc to man made items such as broken glass, medical waste and other potentially harmful objects and substances, which is important information for students to learn about. Beach cleanups are opportunities to see first hand how our consumerist lives have lead to an increasing amount of plastic waste ending up in our oceans. 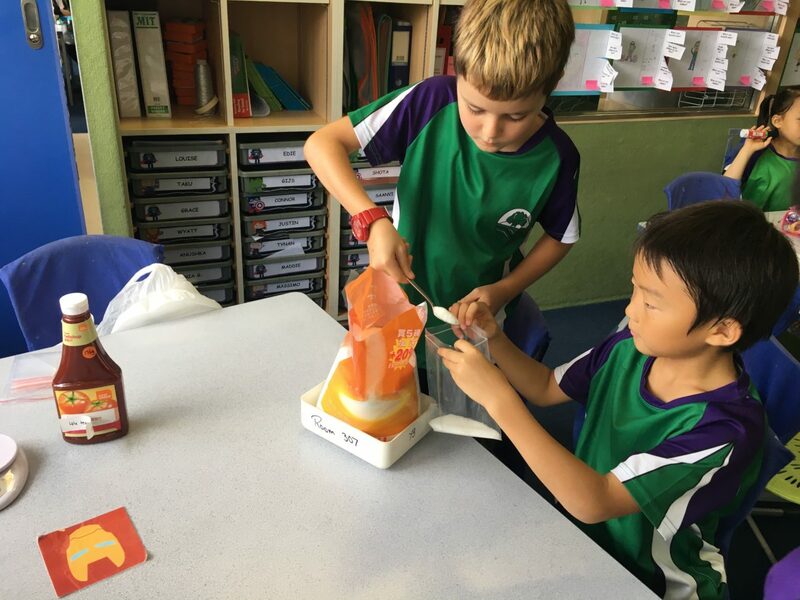 The students connect with items they find and are encouraged to think about solutions at a personal, school or community level to help reduce this problem. 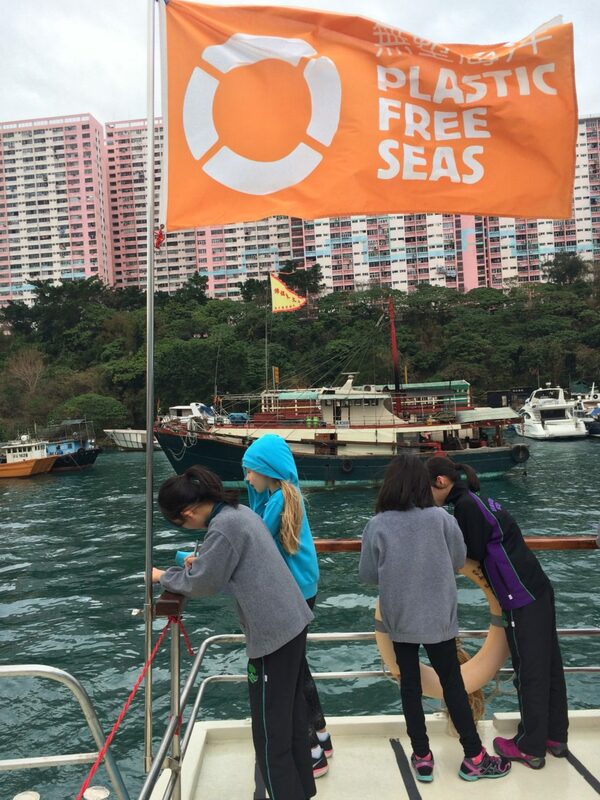 Plastic Free Seas (PFS) HK has a mobile Classroom onboard a Blue fishing Trawler. 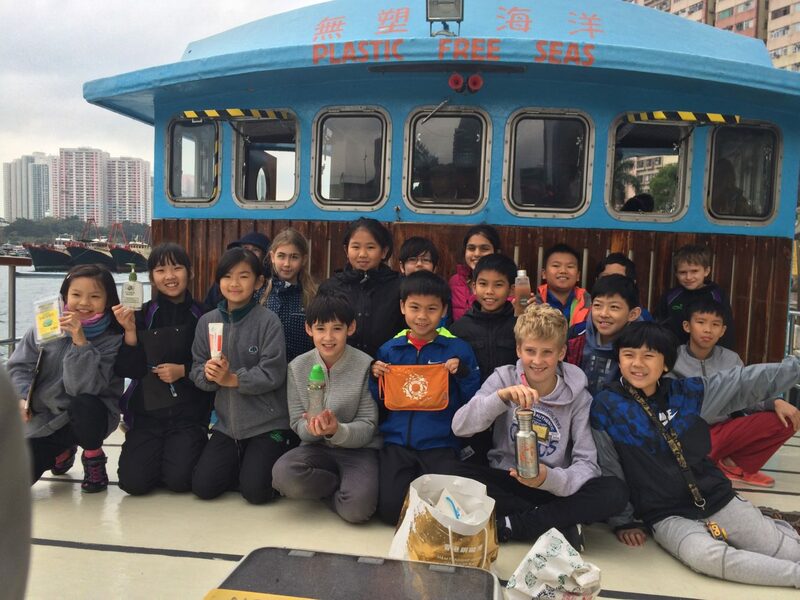 Students work with the PFS team who are passionate about the sea and provide participants with experiences to learn about the issue of plastic marine pollution. 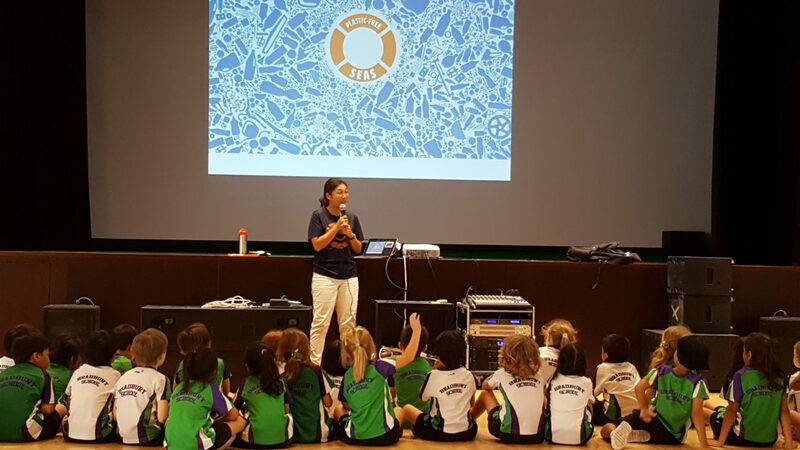 This helps students to better understand and appreciate the need to take care of our oceans. Onboard, the students learnt in a classroom setting and had the opportunity to experience sea surface trawling and data analysis. 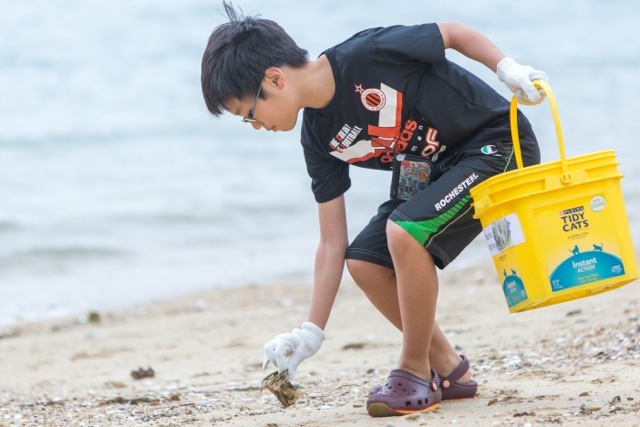 They found that the pollution is tidal and contained a variety of materials and objects such as polystyrene containers, light bulbs, plastic bottles and bags. The plastics found were microplastics which were harder to remove from the water because of their size. This is a concern because fish think this is food and it can end up being part of the food chain. 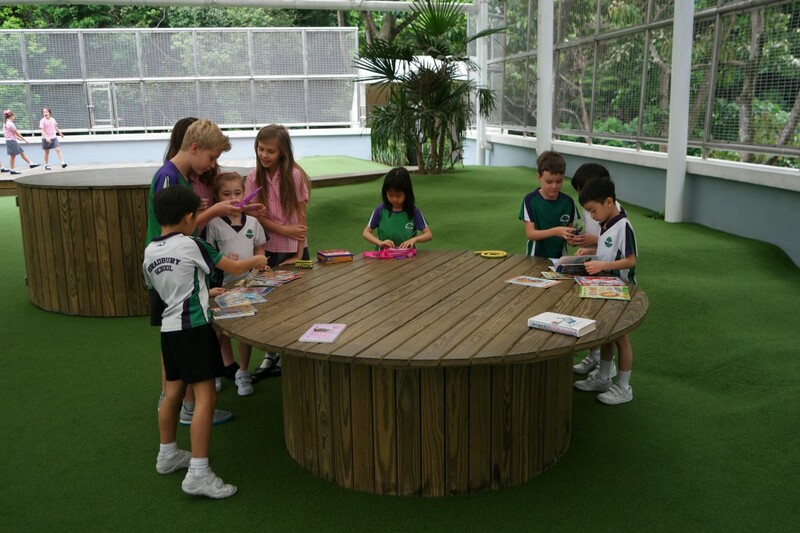 In August 2014, the Lower Playground area was redeveloped, creating new garden beds and a new Music suite for the school. Funds from the Greening School Subsidy Scheme were used to purchase trees, materials such as soil, equipment, pots, fertiliser and a variety of shrubs for this area. 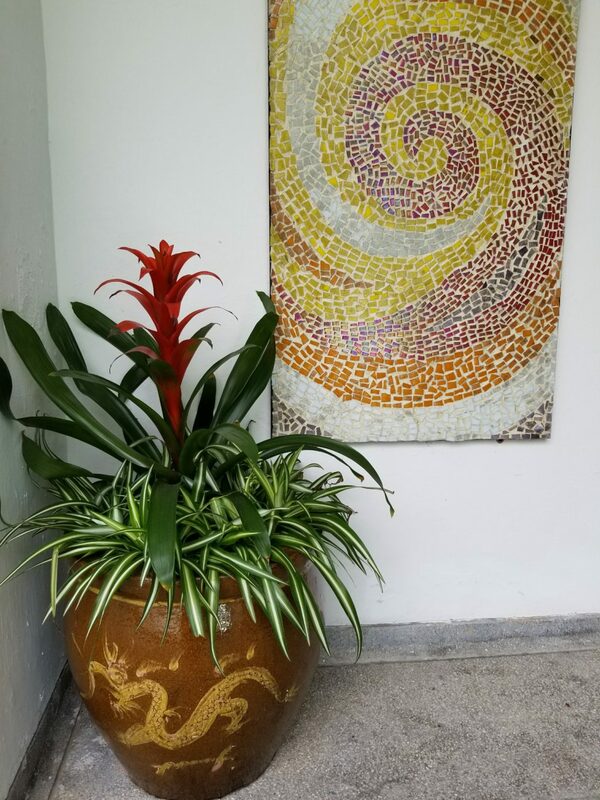 Bradbury School, in consultation with a landscape gardener (a parent of the school), ensured suitable plants were purchased and over a two month period, the students worked to create new, sensory gardens. 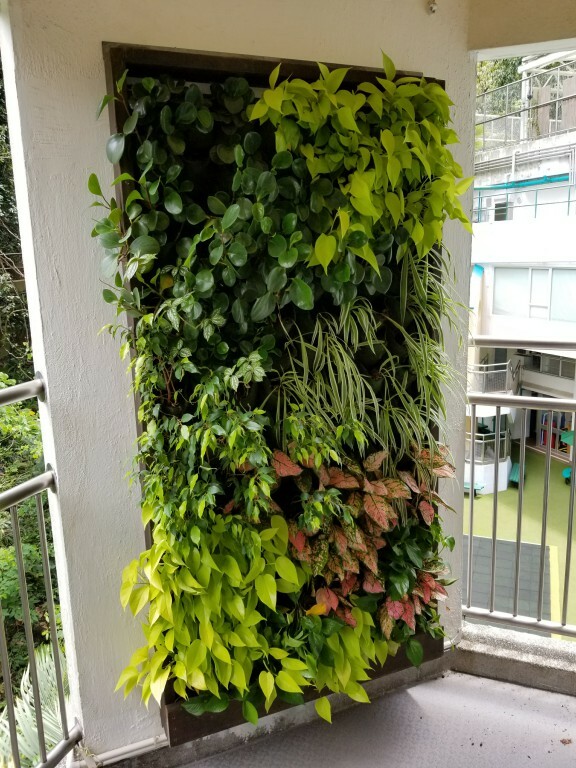 Many of the plants purchased provide a smell or coloured foliage to attract some birds and insects native to Hong Kong. Cuttings were taken, before the works started, of plants we wanted to keep. Eco Dude Planting Presidents from Years 2-6 worked throughout October and November to dig up the garden, mixing in compost from our school Bokashi and they learned how to plant plants correctly under the guidance of staff and parents. Cuttings were potted up. The finished gardens are a great blend of old and new and this has provided an amazing new space for playing and outdoor learning to occur. 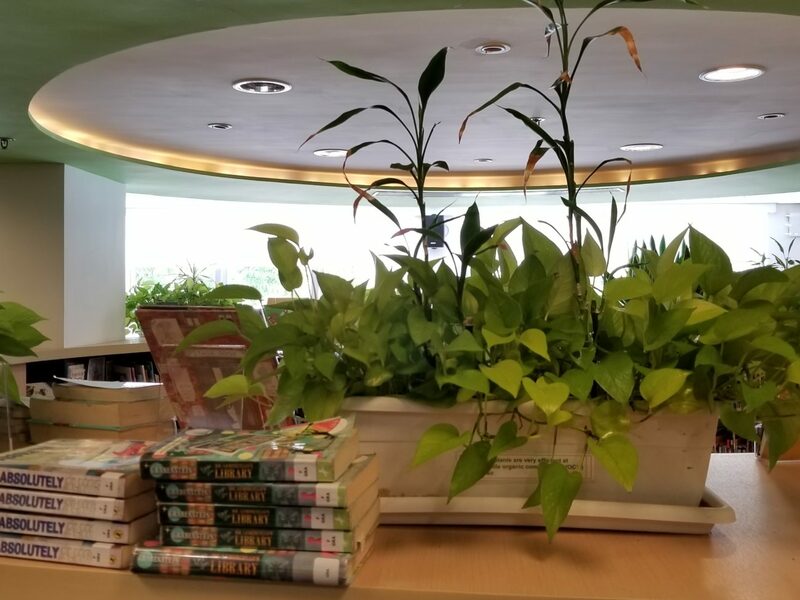 Students now assist to maintain this area through watering, feeding and weeding on a regular basis and, with guidance from staff, they are learning how to care for the new plants. In November, citrus trees along with pots and soil materials were purchased for the area. Students helped to pot them. 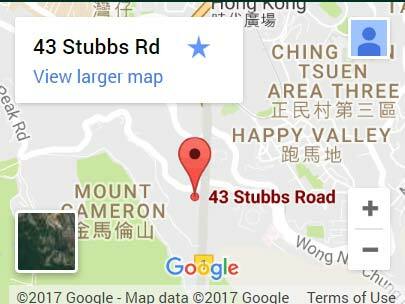 Two Mulberry trees were also purchased one of which has been planted in this area. 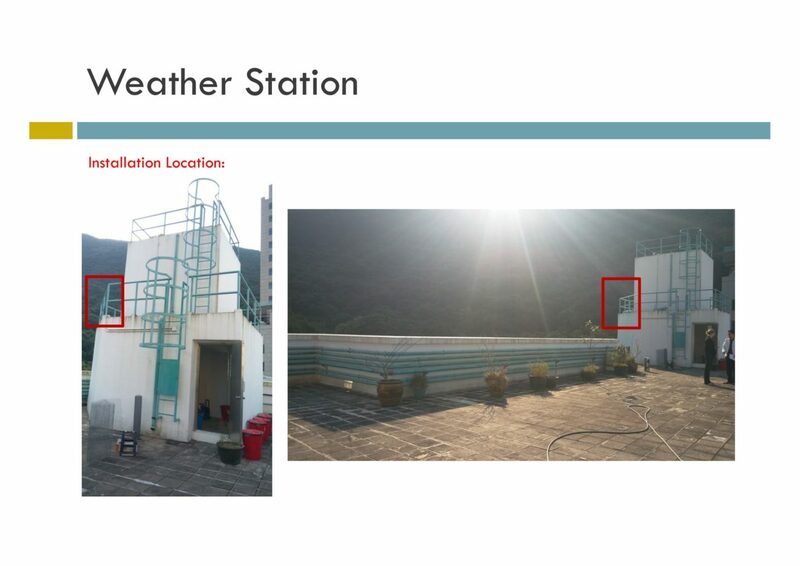 In January, an enclosed greenhouse was purchased for an unused area of the school on the Lower Playground. 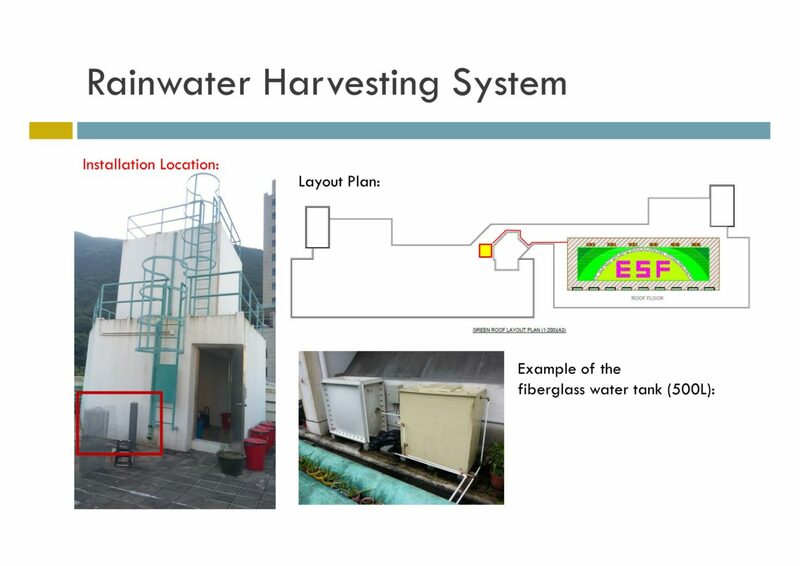 Students will be able to monitor and maintain small seedlings in this area independently and with help from our water tank, they will be able to use recycled water to water and care for the plants. In August-November, the students grew many vegetables and herbs from seeds which they sold to the school community at our annual Night Market. The students had to go through a process of growing and potting up the seeds, labeling and pricing them, and selling them to parents and friends of Bradbury School. They enjoyed this very much and as a result, The Eco Dude Planting Presidents will continue this practice for the rest of the year, selling goods as they are harvested, once a month to our school community starting in February. The Eco Dudes continue to pot seedlings on the roof, and have recently planted Tomato plants, Broccoli, Lettuce, Chilies, Cauliflower, Beans and have continued to maintain a variety of herb species such as Basil, Rosemary, Lemon balm etc. 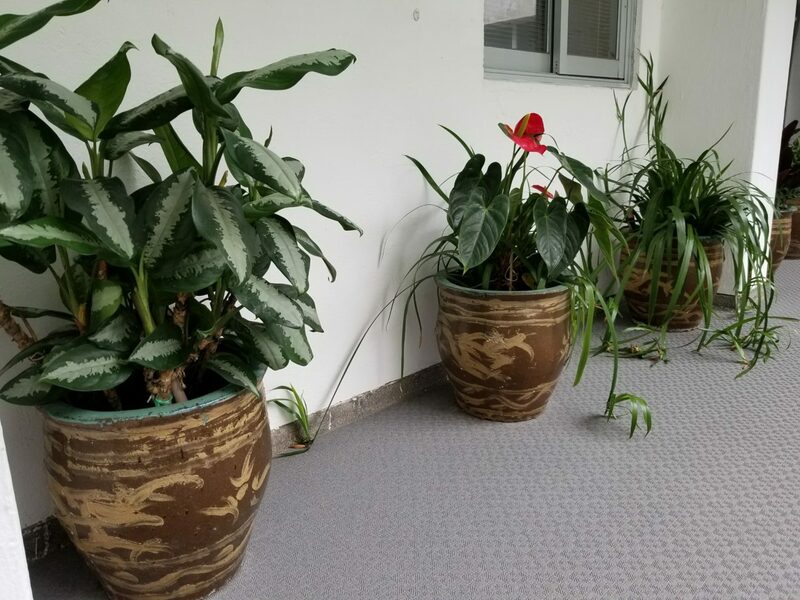 On the roof students have recycled unused pots to pot up four citrus trees which will be placed around the school corridors to make our environment look nice. 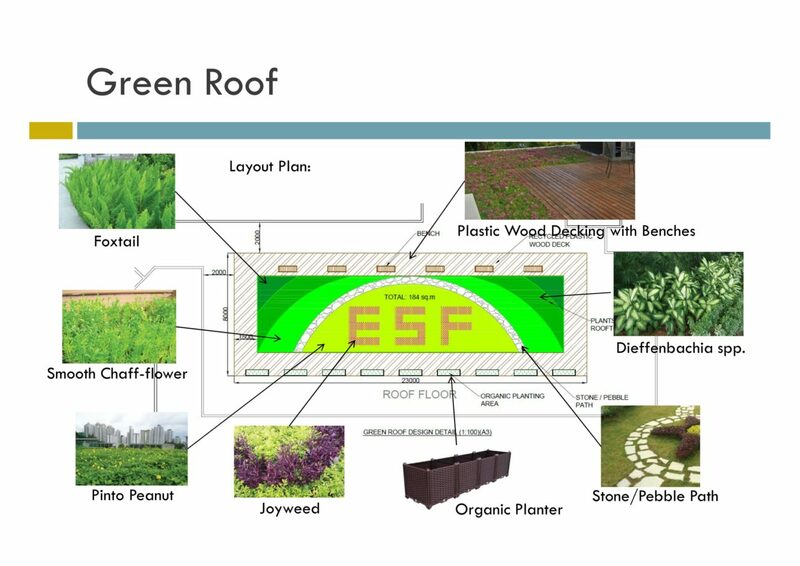 Bradbury School applied and received funding from the Environment and Conservation Fund for $619,500 to develop a green roof space. 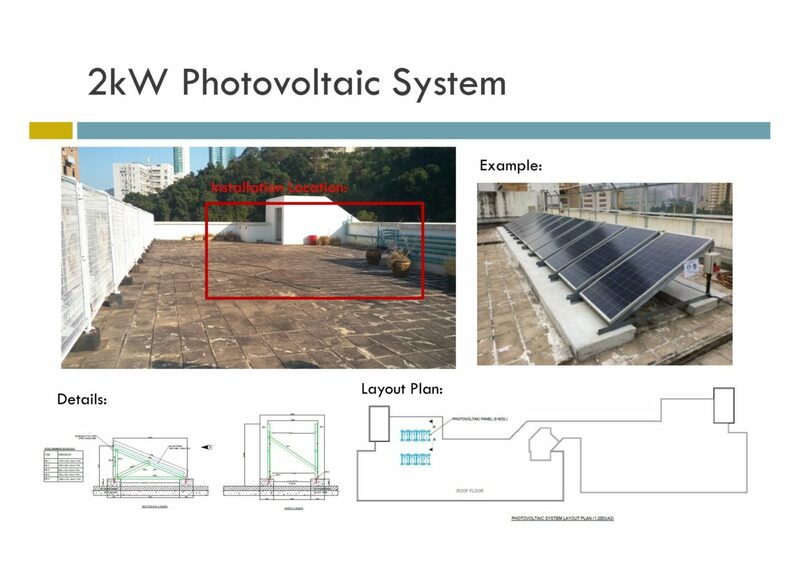 This space will be used to educate students and provide green sources of energy such as wind and solar. 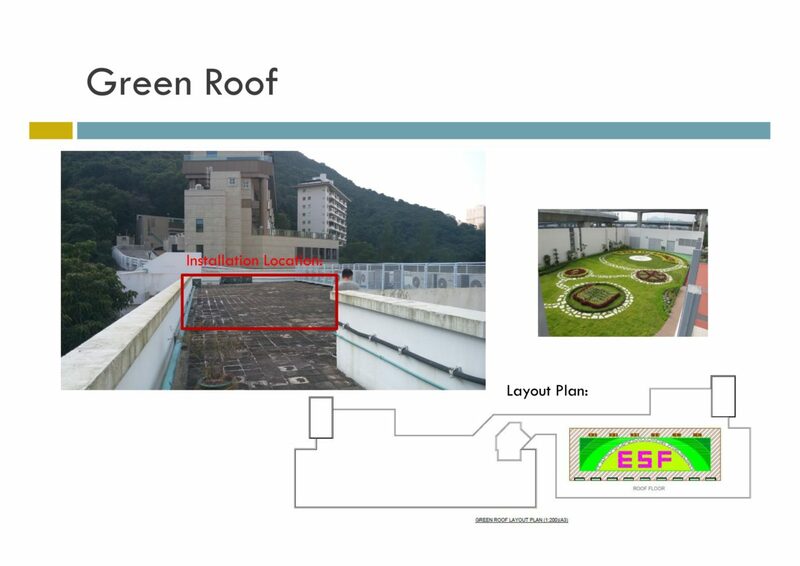 This project is still in the development stage and should be completed by summer 2018. Year two has been inquiring into habitats and found out that habitats get polluted from everyday rubbish. The animals can die from eating the rubbish which they mistake for food and most of the rubbish found in animal habitats is made from single use plastics like straws and disposable cutlery. 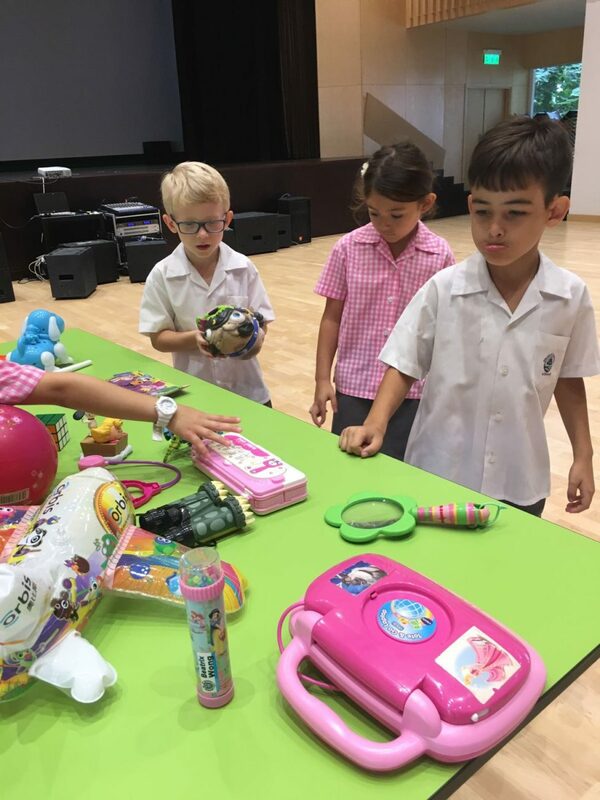 Year two decided to take action and try to recycle some of their unused or unwanted toys from home. 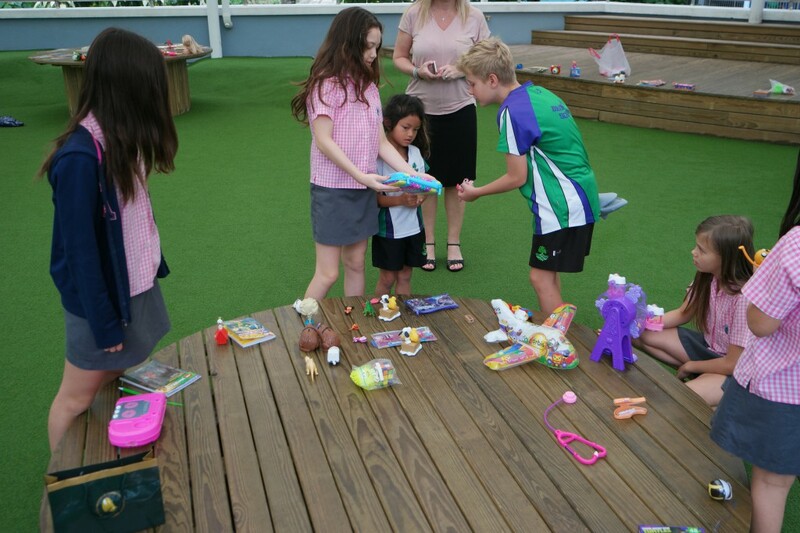 Then in Term three on the school action day, the students swapped books and toys with students from across the school. 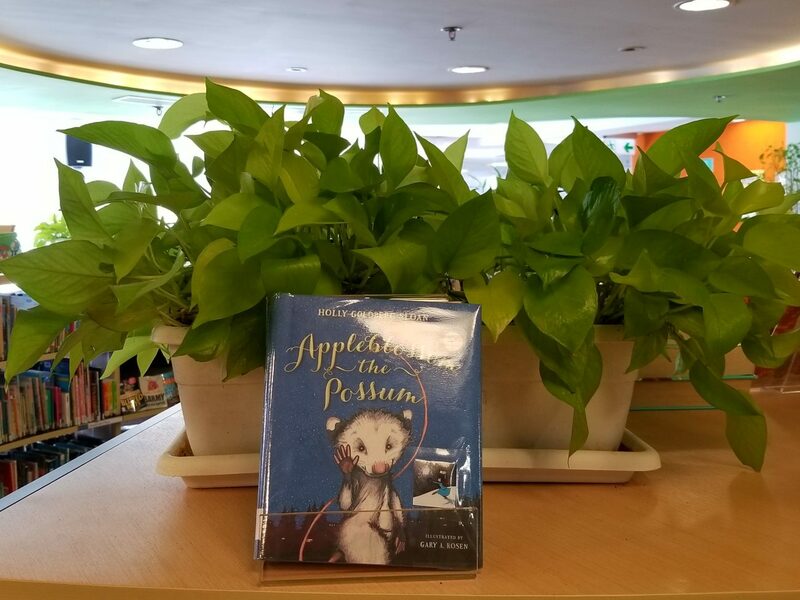 This was a great way to recycle and reuse unwanted toys and books. Everyday products contain rechargeable batteries and while it helps the environment to re-use batteries, the benefits don’t extend to disposal. Rechargeable batteries contain materials that can be hazardous to people and the environment. They also contain valuable materials that can be recovered for use in other products, such as magnetic alloy and stainless steel. Did you know, most rechargeable batteries only have a shelf life of 1.5 years! 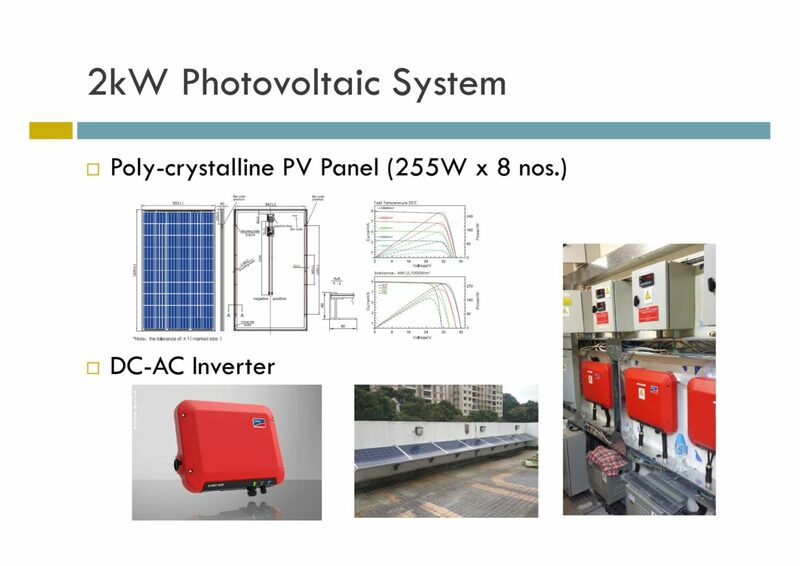 Batteries for other equipment not listed above are also suitable for recycling, provided they are portable rechargeable batteries. Remove the rechargeable battery from the equipment/device. Cover the battery terminal with masking tape. This is a safety precaution to prevent contact between terminals or other metal surfaces duringstorage and transport. Do not put damaged rechargeable batteries into the collection boxes. For batteries that are vulnerable to damage, put them in plastic bag (e.g. reuse the packaging of new batteries) and seal them with adhesive tape before depositing. Bring your batteries to the Bradbury School office anytime for recycling. 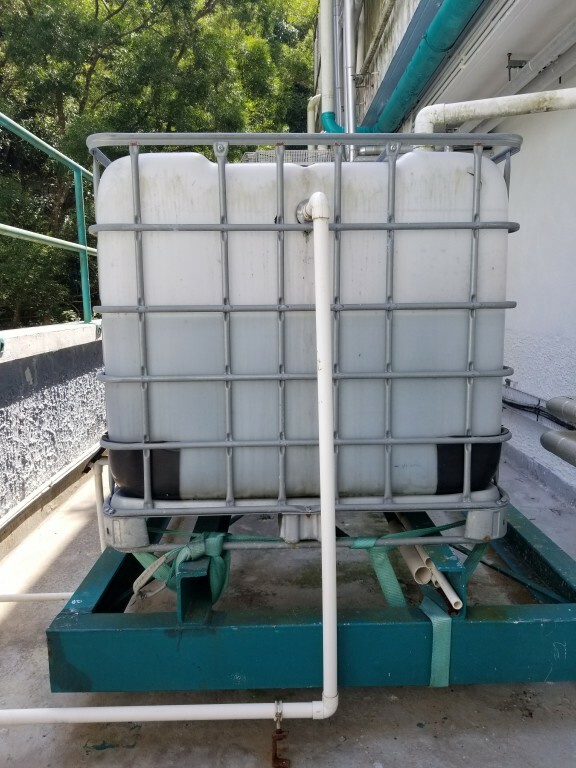 A 1000L water tank was donated to the school by a parent in the 2014-2015 school year. Positioned on the 1st floor to give us sufficient water pressure, it was connected to existing piping to collect water from the 2nd floor playground.Tap fittings also lead from the tank down to the lower ground play area to allow students and members of the Eco Dudes to water the plants in the near by greenhouse and in the Lower Playground gardens at snack and lunch times. 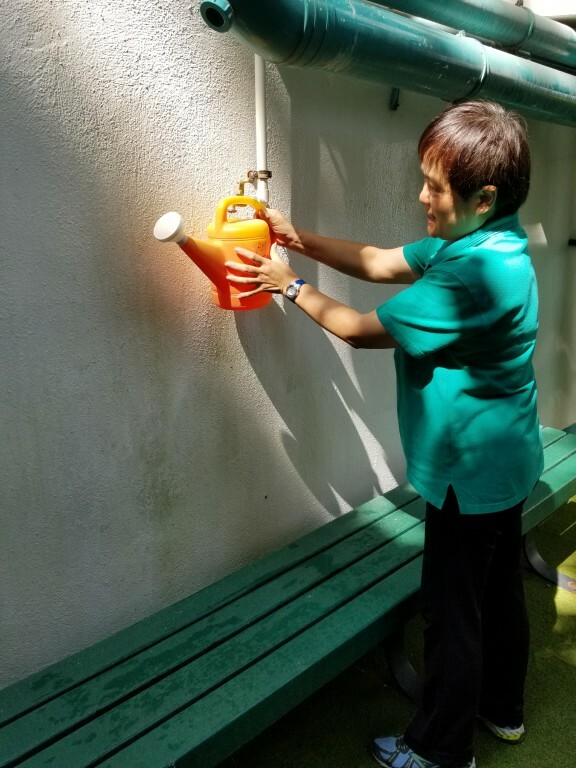 Additionally, site staff use this water for cleaning and hosing of outside surfaces to reduce the school’s water use.